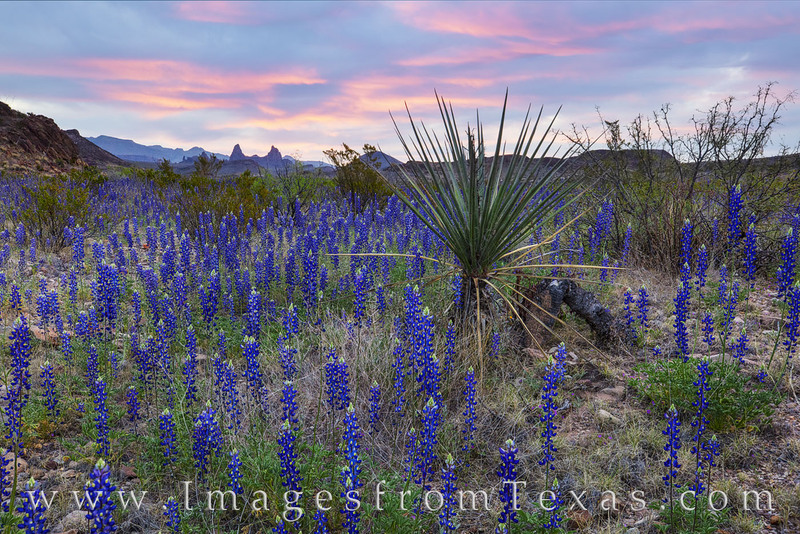 With the Mule Ears in the distance, a valley of bluebonnets in Big Bend National Park adds a splash of color to the early March Morning. The Spring of 2019 was a once-in-a-lifetime bloom, and this image shows just a small portion of this amazing landscape. This Chisos Mountains rise in the distance, and from my vantage point on the western slopes, it was a beautiful start to the day. Photo © copyright by Rob Greebon.